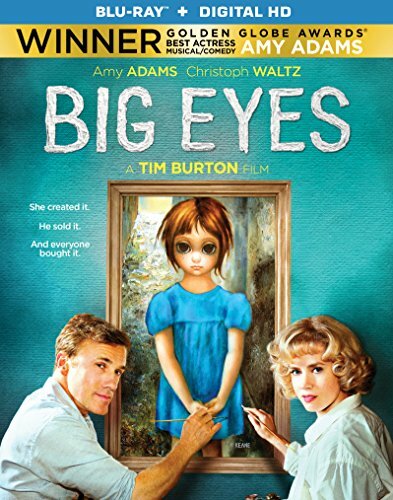 From the Academy Award® winning team that brought you Ed Woods, Big Eyes focuses on the artistic coupling of Margaret (Amy Adams) and Walter Keane (Christoph Waltz). Walter Keane became a worldwide celebrity and talk show fixture in the 1950s after he pioneered the mass production of prints of big-eyed kids, and used his marketing savvy to sell them cheaply in hardware stores and gas stations across the country. Unfortunately, he claimed to be the artist. That role was played by Margaret, his shy wife. She generated the paintings from their basement and Walter’s contribution was adding his signature to the bottom. The ruse broke up their marriage and led to a divorce and a dramatic courtroom battle to prove authorship of the paintings.